Grammy winning composer, Augusta Read Thomas’s impressive body of works embodies unbridled passion and fierce poetry. The New Yorker Magazine called her "a true virtuoso composer." Championed by such luminaries as Barenboim, Rostropovich, Boulez, Eschenbach, Salonen, Maazel, Ozawa, and Knussen, she rose early to the top of her profession. Later, as an influential teacher at Eastman, Northwestern, Tanglewood, now she is the 16th ever University Professor (one of five current University Professors) at The University of Chicago. Former Chairperson of the American Music Center, she has become one of the most recognizable and widely loved figures in American Music. Thomas was the longest-serving Mead Composer-in-Residence for Daniel Barenboim and Pierre Boulez with the Chicago Symphony from 1997 through 2006, a residency that culminated in the premiere of Astral Canticle – one of two finalists for the 2007 Pulitzer Prize in Music. During her residency, Thomas not only premiered nine commissioned works, but was central toward establishing the thriving MusicNOW series. She won the Ernst von Siemens Music Prize, among many other coveted awards. 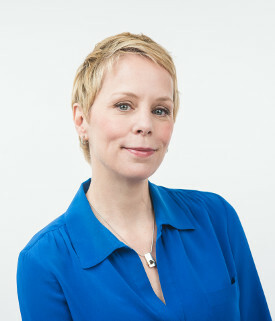 She is a member of the American Academy of Arts and Sciences, and a member of the American Academy of Arts and Letters.